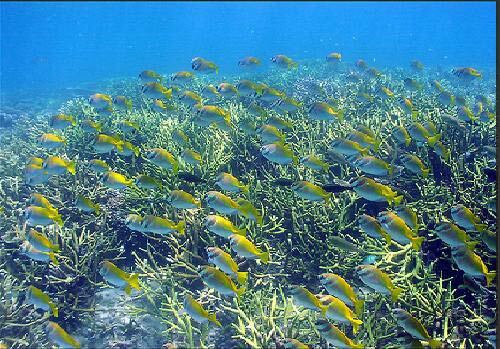 The island of Borneo extends over a massive area of 287000 square miles (743,330 square kilometers) and is the third largest island in the world, as well as the largest island in the Malaysian archipelago. This large island plays host to four political divisions, Kalimantan, which belongs to Indonesia, the states of Sabah and Sarawak both of which are a part of Malaysia and the small sultanate of Brunei. Borneo, which is located to the southeast of the Malaysian Peninsula, is largely mountainous and hosts the highest peak in South-east Asia, Mount Kinabalu rising to a height of 4,095.2m or 13,435, though large areas of the island are also covered by swathes of dense rainforests. Borneo experiences a year round hot and humid weather, as some parts of the island receive as much as 150 to 200 inches of rain annually. It is no wonder then that the island possesses great biodiversity and is home to numerous species of native flora and fauna. 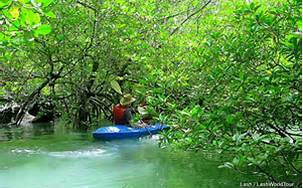 Lush mangrove swamps thrive on Borneo’s coastal regions and provide an ideal breeding ground for fish and various other creatures. The endangered, long-nosed proboscis monkey is endemic to Borneo and inhabits its mangrove and riverine forests. 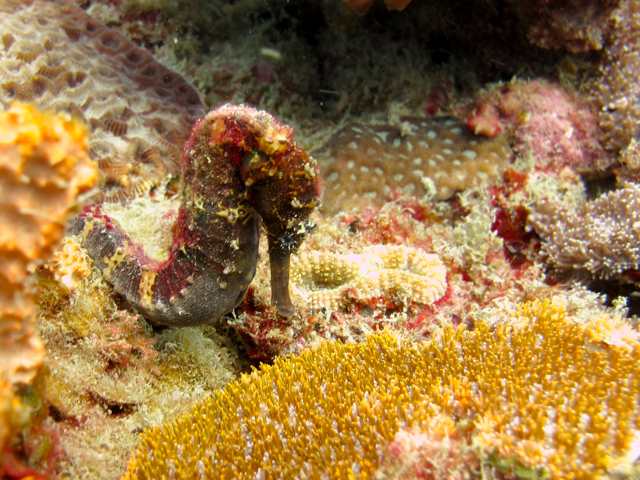 This rather comical creature is a gentle, benign primate, which feeds on fruits and leaves. 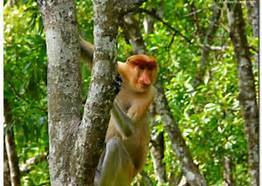 The Proboscis Monkey is today protected in various reserves and sanctuaries on the island like the Labuk Bak Proboscis Monkey Sanctuary situated in the dense mangrove forests of Semawang near Kota Kinabalu. 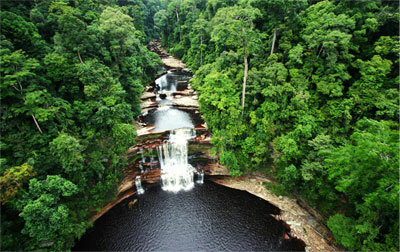 There are various types of forests on the island of Borneo, but the dipterocarp forests are unique to the island. The Latin term Dipterocarp translates as ‘two winged seed’ and refers to the process of wind pollination, which scatters the seeds of these trees to enable the spread and perpetuity of these forests. Dipterocarp forests are known to rise to as much as 200 feet and they host a numerous living creatures under their tall branches. 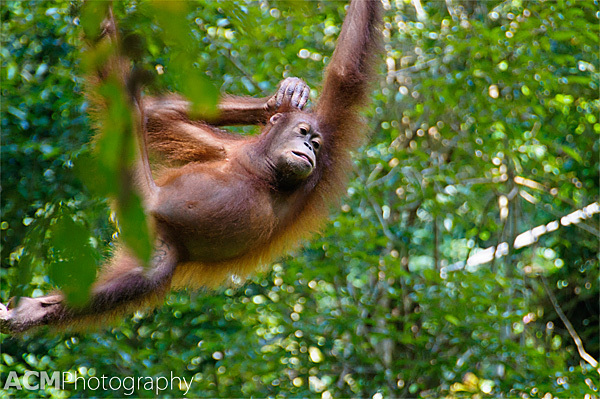 Under this lush forest canopy, Borneo’s great ape, the flame-haired primate, the Orangutan continues its struggle for survival. A member of the ape family, like gorillas, chimpanzees, bonobos and human beings, orangutans have been resident in Borneo’s rainforests for millions of years. Now however, these gentle giants whose name translates as ‘man of the forest’ are in danger of becoming extinct, as indiscriminate logging, deforestation and cultivation of palm-oil plantations erode their natural habitat, the rainforest. Today only about 20,000 orangutans remain in the wild and reserves and sanctuaries on Borneo, like Semenggoh, Sepilok and Matang work towards their conservation and protection. Borneo boasts of some of the world’s most fascinating cave systems created by thousands of years of erosion and other geological processes. The caves of Borneo are adorned with stunning limestone formations like stalactites and stalagmites and host varied forms of life like cave swiftlets, bats, cockroaches, crickets and various other invertebrates. 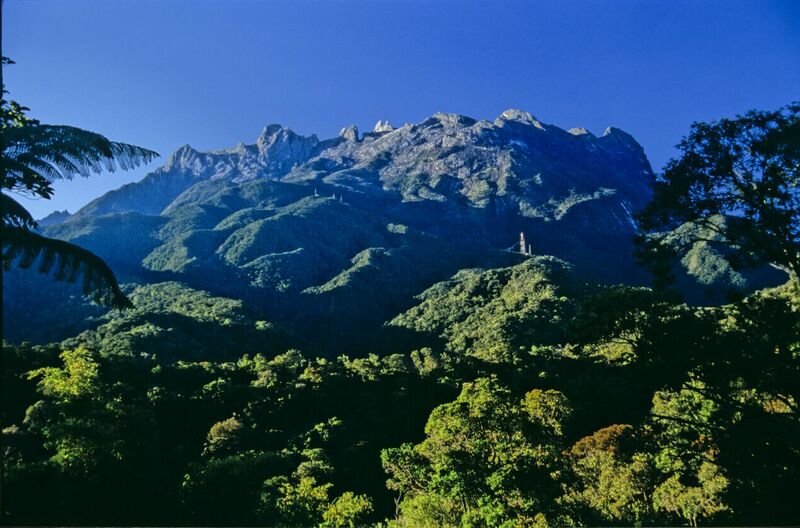 Named after its imposing peak, Mount Kinabalu, the Mount Kinabalu national park is a UNESCO World Heritage site extending over 754000 hectares. 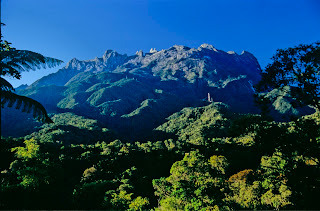 Home to hugely diverse ecosystems like 326 species of birds, 6000 species of plants including 1000 species of orchids, 600 species of ferns and three types of Rafflesia, the world’s largest and odorous bloom, the park visited by scores of visitors each year, many of whom try to scale, Mt Kinabalu, the tallest peak in Malaysia. This expanse of forested land is home to a huge repository of animal and plant life including many Borneo natives like Malayan sunbears, pygmy elephants, clouded leopard the Sumatran rhinoceros, giant flying squirrels, leaf monkeys and many more. Giant Rafflesia and rare lichen dot the lush jungle floor while hidden rivers and sparkling waterfalls abound in this natural wonderland, which till date has been visited only by a few.